This case study is a great example of how to address children's literacy needs from school and from home. Take a look at this example of parental engagement. 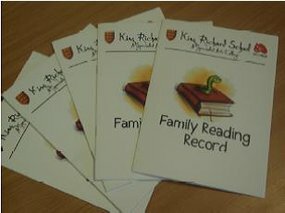 Tracey James from King Richard School in Portsmouth found a way to incorporate parental involvement with school literacy intervention through her functional skills sessions. Tracey’s success was due to a combination of strategies. She invited family members to come to school, offering free books as an incentive to read at home and forged a strong link between functional reading skills and enjoyment of reading. There is also a video of Tracey talking about the programme and how she set it up.